If you ask someone which is the best content format for engagement and hype in the digital realm, without batting an eyelid the person would answer, “Video”! Yes, video content is the most favored and used content marketing format these days and there’s no stopping to it. And thus, marketers everywhere crave for robust Video Marketing tips. Anyone spending a significant amount of time on the Internet can swear and tell that videos have taken the lead position in the types of contents people enjoy. Last year was entirely video’s. Video contents ruled 2017 and we got to see an overflow in the varieties of videos. Facebook, Twitter, YouTube, these leading social media and online video streaming platforms were flooded with the number of videos uploaded. If you look at the stats, your jaw will drop. 500+ million people watch videos on Facebook every day! And globally, video traffic will reach 82% by 2021, this is an increase from 73% in 2016. To strengthen our stance, let’s check out these amazing stats, that prove video marketing is spreading like a wildfire. Not long back, videos were considered to be just ‘extra’ that was nice to have but not actually needed, and now it is imperative for business success. This had to happen of course. Given the change in the taste of people, graphics and texts alone cannot make it big. Considering the colossal amount of attention and applause videos are receiving, we must gear ourselves with all the trends and tips for the rest of 2018 and beyond. Because it is a universal truth that, each day algorithms, trends and preferences change. All of these culminates into a question, how to succeed with video marketing in this time of Big Data and continuous production of millions of video contents? Creating marketing videos do not come cheap, so we must shift all our focus on getting the most of it. 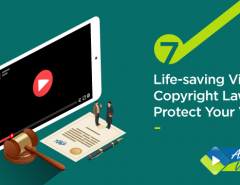 You may post your videos on your company website and share it on social channels. But what can you do beyond that to smell the success in video marketing? As a business owner, you must be aware of the trends in the videos people see, like square videos are less liked by the audience than horizontal videos. Another trend is the sudden popularity of live videos. By now we all know that producing videos for social media channels are not just for the sake of engagement, but have a far-reaching effect on any business. Having videos at your disposal sets the stage for you and puts you in an advanced position than your competitors yet lagging behind. We have compiled a total of 12 tested and tried video marketing tips that can bring you success and will work for your business in 2018 and beyond. 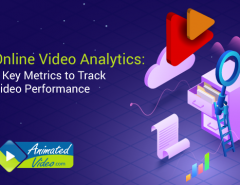 Try these out and see the difference in your video marketing campaign analytics. So you are all set with your highly engaging video. Start posting it on every relevant social media channel owing to the growing usage of social media these days. Don’t stop yourself to one or two channels only, find all the platform you assume to be optimal and post your videos there. Keep in mind to ‘post’ them, and not just ‘share’. Posting your videos as native content will fetch 10X more shares than YouTube links. Sharing YouTube links don’t work much as compared to posting your videos natively on Facebook or other platforms. A direct feature in your audience’s feed has almost 135% increase in organic reach than third party links. Also, you can create a video roll or a video gallery when you post your videos on a single platform, that’s much easier for your audience to navigate the contents. You may also choose a featured content if you may, edit the videos, choose an apt thumbnail, enable autoplay, incorporate the subtitles in your preferred language and also put a call to action urging the viewers to act. Most of the videos we post on the social media channels play automatically without sound until the ‘unmute’ button is clicked. So isn’t it better to let your audience comprehend what’s going on in the video before they watch it with sound? Captioning your video and translating it into another language that your audience prefers, is a good way to charm your audience. Captions or subtitles help a lot to understand the motive of a video or a film, and that’s the reason all the regional movies we get to see in the global Film Festivals, have subtitles. In fact, you might be surprised to know that 80% of viewers, who have no hearing loss, prefer videos with subtitles. Though one may argue how come people so prefer captions and subtitles in the times of visual contents. Well, we have got the answers for you. Yes, it’s true that the human brain perceives visuals more than texts, but sometimes when the text is in sync with what’s going onscreen, texts do help. It is easier to understand the visuals, as well as the narration if we have the captions at our disposal. And not only this, having captions in your videos add to your SEO arsenal too. Because you are giving the search engines spiders something to crawl and rank you in the search results. Your videos would rank better with subtitles as you are helping Google (or any other search engine) in indexing and relevance. Thanks to the evolving technology, we now have an attention span less than that of a goldfish! Sounds amusing right? But this fact could be detrimental for your video to perform adequately amongst your audience. You just have 3 to 5 seconds in your hand to grab their attention and make a mark in their mind. Your target audience expects that you kindle their interest, but fast enough. So, you need a good hook to keep them hooked. Stunning visuals, a highly engaging content and a thrilling background score – Your ingredients for a short but sweet video that grabs the audience’s attention within seconds. Videos that tickle your funny bone get the more shares and likes because they have a charisma to grab people’s attention right from the beginning. No wonder why prank videos are such hits on Facebook! And with Instagram joining the league with IGTV, your video marketing could go to the next level, but with videos under 60 seconds. Often aspirant marketers, who have just taken up video marketing, forget one thing. This mode of marketing is not always about bragging about one’s brand or driving sales. 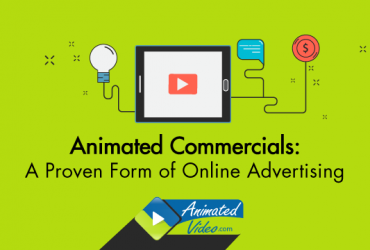 Video marketing is a way to generate awareness about your brand through a series of stories. Stories that are not purely focused on salesy topics, and which connects with the audience. Create the script in such a way that they resonate with your audience making them feel familiar with the situation shown in the video. This is one of the most vital video marketing tips that a marketer must keep in mind. Know how to put your brand message and how your brand can help them through storytelling that they enjoy. Don’t always push your latest promotion on social media, rather reach out and engage. Play on their psyche while they relax and show something they find connecting with them. Thereby you can generate brand awareness, because Facebook or other social media platforms are all about raising brand awareness and not direct response. Talking about shining in video marketing in 2018 and beyond, go Live! Yes, live videos are all the rage nowadays and have a greater outreach than any other form of videos. Why are people going gaga over live videos? What secret sauce do they have in them? All because of the personal touch. The more there’s a personal touch, the higher is the connection. And the more a connection gets intimate; your videos tend to have a higher chance of carving a niche of them. Live videos are the best form of creating a personal connection with your audience, because what they see is what they get. Live videos are excellent engagement tools because there are no hour-long editings involved. It’s more like an uncut or unpolished version of what you what to show to your audience. Be it a product launch, or promotion for a new release, or a behind the scene of your company. This touch of real-time factor works so well for this generation. You may also opt for a live Q&A session that will gather some substantial momentum from your target audience. Facebook Live, Instagram Stories are all being used by individuals and companies like hot cakes, so why don’t you leverage these tools too! Find out the marketing influencers of your field and go for a live interview with them and webcast it. Your subscriber base will hit it big. 6. Bring your Videos to Full Circle… Err, Square! Everything is changing. Even the pace of change is changing. The world has taken a drastic shift towards mobile from desktop. Hence your videos must cater to the available real estate on the screen of a smartphone. Square videos with an aspect ratio of 1:1 are now a vital part of video watching on smartphones. These videos are gradually outperforming landscape videos as the former cover more screen space at one time – 78%. Thus views, likes, shares, and lastly engagement are much higher pertaining to square videos. So as your video marketing strategy for 2018 and the coming years, start optimizing your videos changing the aspect ratio to square, as people are 67% more likely to engage with a square video than a horizontal one. To err is human. So it is quite reasonable for people to make mistakes. Similarly, several marketers make such blunders that cost them heavily. Find out the most common mistakes people do while they start using the Internet for marketing, or while they take up social media marketing. Talk about those mistakes in your videos, and offer solutions to them. This is a highly significant topic to be made into a video that will elevate your stature to a marketing expert. Because when you talk about blunders and how to avoid them, you fix your position as an expert in that particular field. This increases your fan base who are in a desperate search for a solution. Thus driving them to come to you and watch your videos more and more. For 2018 and the years to come, start planning to create video contents that emphasize common blunders and how to avoid them. A small step from you can lead to a big leap for your business altogether. Give something to the search engine spiders to crawl upon. This links back to point number 2 where I had suggested to include captions or subtitles so that the crawlers get relevant texts to crawl upon. As we all know, for a good page ranking we have to satisfy the algorithms of a search engine. To get this done you must optimize your videos in such a manner that they show up in the search results. How would you do it? Stack your script with relevant keywords that both your users and search engines will find useful. Don’t use them too much or it will be superfluous. Find a perfect balance to put your keywords for indexing purpose. And since YouTube is the biggest online video streaming platform, ranking higher on the platform is the most coveted thing today. 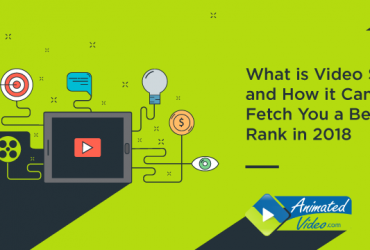 The more you rank high, the better is your chance of getting seen by your audience and your success in video marketing. Ask yourself, why exactly you watch a video? What do you expect from a video to offer you? Be in the shoes of your audience and understand the ultimate purpose you want to serve with your contents. 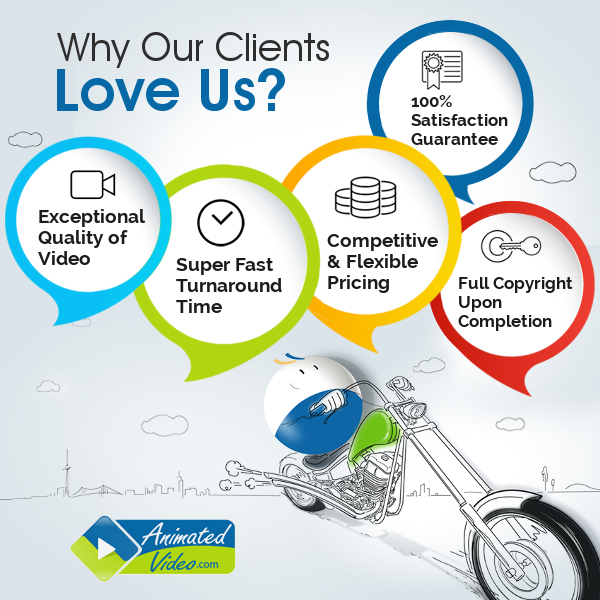 Whether you aware them about your brand, or generate trust through a video testimonial of a happy clients! Or do you want to promote an upcoming event? 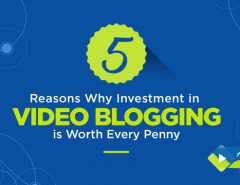 Find out the purpose you are investing in your videos. Get the sense of what exactly goes inside the audience’s head while they watch your contents. Only then you would get a solid traction from your audience. The art of storytelling goes a long way and has been a proven factor to arouse interest. Use the storytelling art and keep your script informative but in a narrative manner. Once your videos start serving the actual purpose, relationships will build and engagements will happen. Show a process or a strategy through your videos that help the users achieve a task or a goal. Often people find themselves at a loss as to how to proceed with something they want to. At that moment, if your video gives those answers and shows the process, definitely you will get more views. Standing in 2018, one can swear and tell that it’s way challenging to cope up with the trends. Trends that change with every passing day. A process video or a “How-To” video guides a person and shows a linear way to accomplish a task. It may be showing a step by step process to create a YouTube account, or a handy guide to create some DIY stuff. Or maybe a process to drive your leads to your sales funnel. Or it can be a stepwise process video showing how to use After Effects properly. It can be anything. Gear up and start planning for your next process video to bring more visibility to your brand. For a remarkable video marketing success, one must create videos that ooze with emotion, entertainment and information. Striking a perfect balance between the three is the key. A video content that plays on the emotional quotient of a viewer is certain to be liked and shared. More than a video that focuses only on sales pitching and a terse topic devoid of any emotion. Showing a heartwarming story through your video will hook the audience till the end because they will wait to find what happens in the end. So apart from marketing videos, also publish videos that touch the heart, not only the brain! Do you want your audience to sign up your weekly newsletters? Or download a promo coupon? Or should they visit your website? For every action, your video must have a CTA button. A strong call to action acts as a launchpad for the viewers to take their action in a jiffy. Hold the CTA text on a still frame with a single color background highlighting the text. Include a CTA within the first 10 seconds of the video. The last few seconds can also be used. Placement of an apt CTA, aka, Call -To -Action is of paramount importance these days. And as the competition tightens, the more you urge people to take action is better. Don’t let people forget you as soon as the video ends, instead keep a permanent mark in their mind. In any case, don’t ignore these actionable texts as those will help in conversion. There is no fixed formula or marketing tip to smell success in Video Marketing. It is a thing of persistence and patience. You must keep on trying till you reach the summit. But yes, you must ensure that your methods and techniques involved are correct and on the track. More and more people are shifting to video contents alike so your effort should entail engagement and connection. Build trust and relationship through contents that really matter to your target audience. If you think video marketing is tough and yields no fruitful result, you would make a mistake. It is all about organizing and planning your steps before entering the battlefield. With a proper strategy you can make your pre-production and post-production smoother and cost-effective than ever. Keep your contents short, informative and entertaining, add a pinch of humor, find a purpose and share contents with emotion, optimize the videos for each social platform and include appropriate CTAs. That’s all. Follow at least one of the video content marketing tips mentioned above for a month and you will get to see a visible change in your traction, views and engagement rate.